Renaissance Washington D.C. 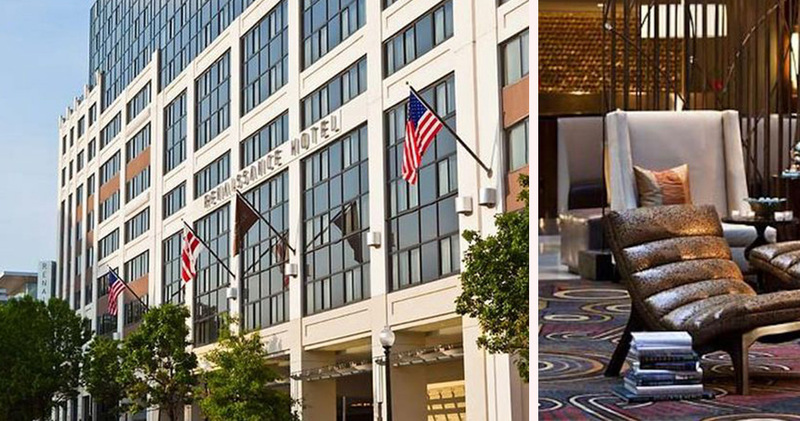 Downtown Hotel is close to attractions like the White House and Chinatown. 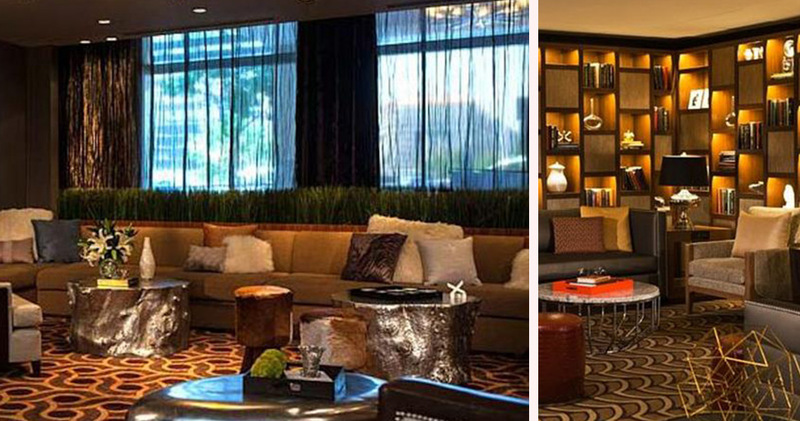 This luxury hotel features chic, contemporary decor. Its expansive lobby has modern light installations and a large sky roof, bathing the space in natural light. There are also plenty of lounging areas scattered throughout this open space. The library corner of the lobby boasts a beautiful display of books set beneath a sparkling chandelier. 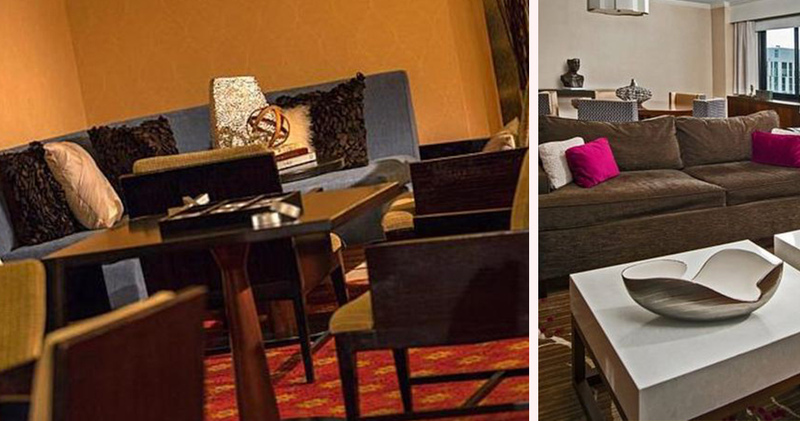 Here, guests can relax on a comfortable chair while enjoying a good book. 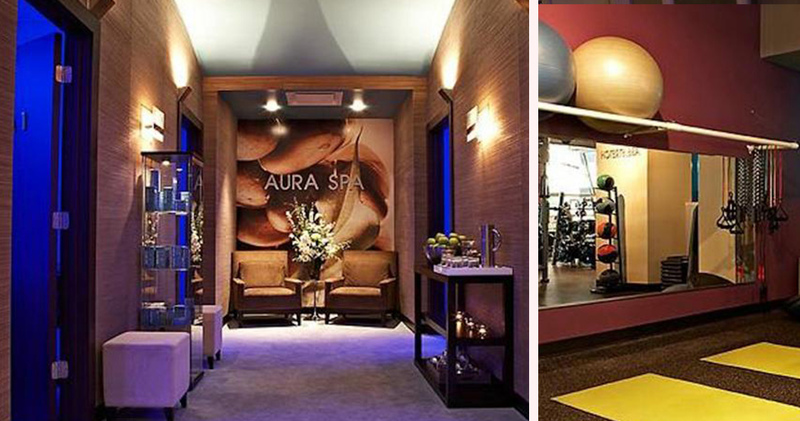 Along with its fitness center and sauna, Hotel Renaissance Washington D.C. is also home to the organic facials and therapeutic treatments of Aura Spa. 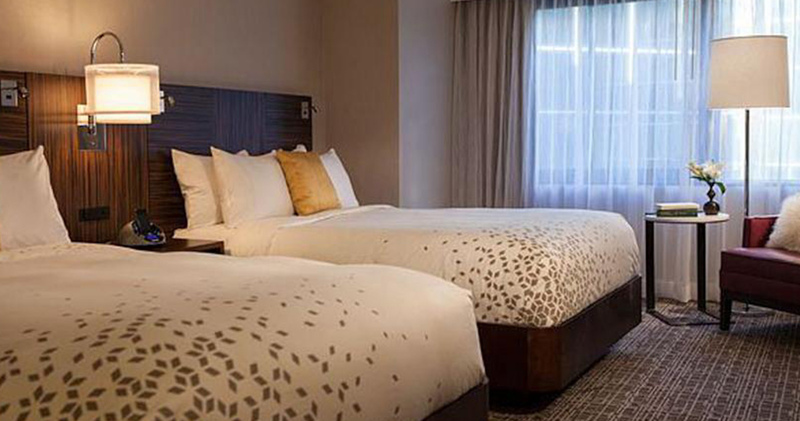 The stylish guestrooms at Renaissance Washington D.C. 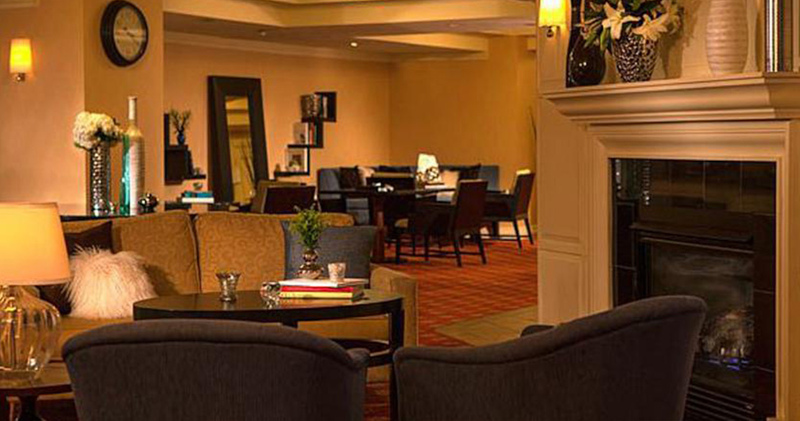 Downtown Hotel are inviting and serene. 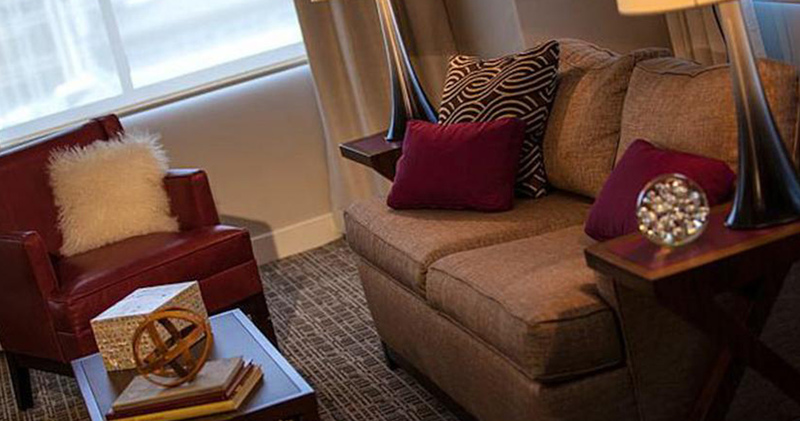 Spacious, airy and bright, the rooms feature large windows that provide ample natural light and beautiful downtown views. 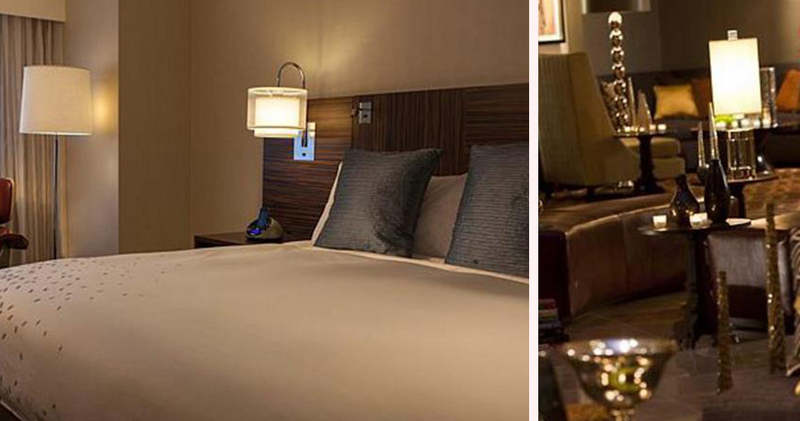 The beds feature luxurious pillow top mattresses, hardwood headboards, custom duvets and luxurious down comforters and pillows. A spacious, well-lit desk is available in each room, along with hardwood finishes, leather seating and ample storage space. 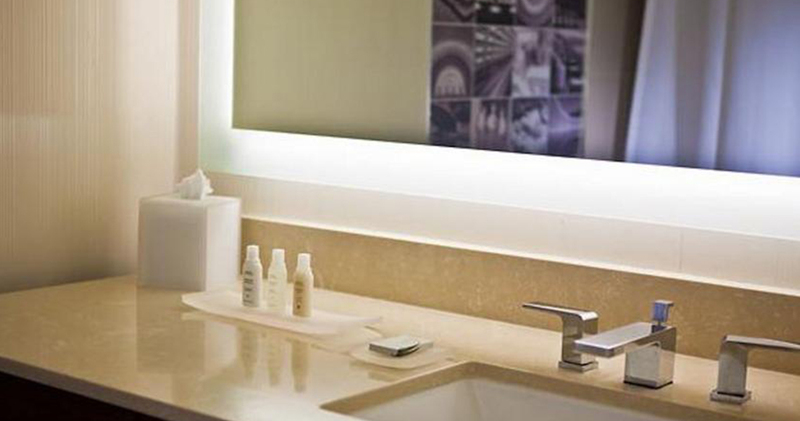 The elegant bathrooms at Hotel Renaissance Washington D.C. feature a back-lit mirror, modern vanity and a collage of historic Washington photographs. Renaissance Washington D.C. Downtown Hotel is home to the Fifteen Squares Restaurant. This relaxed restaurant has a bistro atmosphere and serves classic American cuisine. Mixx Lounge is an eclectic space serving evening cocktails and light fare. The casual Presidents Sports Bar features Presidential memorabilia and has a classic grill menu. Penn Quarter is a historic neighborhood and D.C.'s top district for entertainment and arts. The immediate area is known for its extensive collection of trendy boutiques, theaters, galleries, museums, restaurants and nightlife venues. 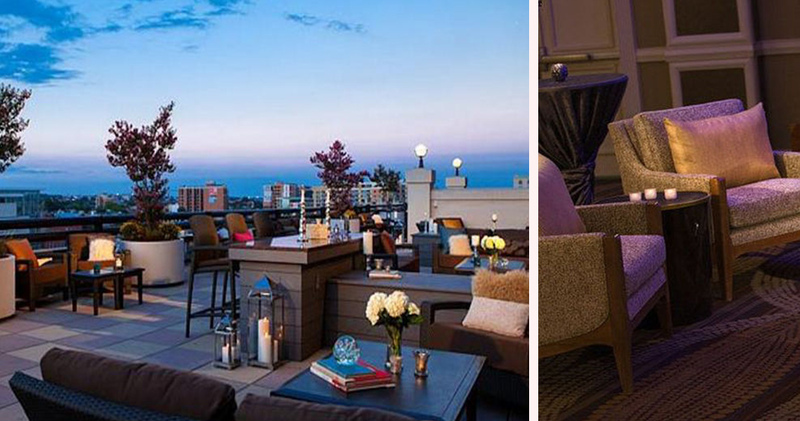 Penn Quarter is home to several refined, world-class restaurants like Fiola and Central Michel Richard. For entertainment, the neighborhood has many excellent performing arts venues like the National Theater. Visitors will find one of a kind shopping options at unique stores like the Tiny Jewel Box and Fahrney's Pens. The neighborhood also has some top attractions like Ford's Theater, International Spy Museum and the National Portrait Gallery.